Jim Murphy, the Restoration Project Manager for Doc's Friends, said that both the aircraft's engines and control surfaces performed as expected. Restored B-29 Superfortress Doc only spent 7 minutes airborne during its first test flight. This past weekend, the recently restored B-29 Superfortress Doc successfully completed its second flight after a long and intensive process of restoring the aircraft to airworthy status. According to Doc’s Friends, the flight, which departed from McConnel Air Force Base in Wichita, KS, lasted for approximately 52 minutes at altitudes of four to five thousand feet, on a flight pattern east of Wichita. “This flight was successful and it gave us another opportunity to put some time on the airplane as we continue to make our way through the flight test campaign and meeting FAA requirements,” said Jim Murphy, the Restoration Project Manager for Doc’s Friends. He added that both the restored aircraft’s engines and control surfaces performed as expected. Doc was not alone on his second flight and was accompanied by a chase plane containing spotters and a camera crew. Their purpose was to not only document the flight but also be able to provide in-flight footage to the restoration and maintenance crews that would give them a more complete view of Doc’s performance. Wings ablaze with gunfire, the Messerschmitts pilot aimed his fighter directly at the nose of the All American. 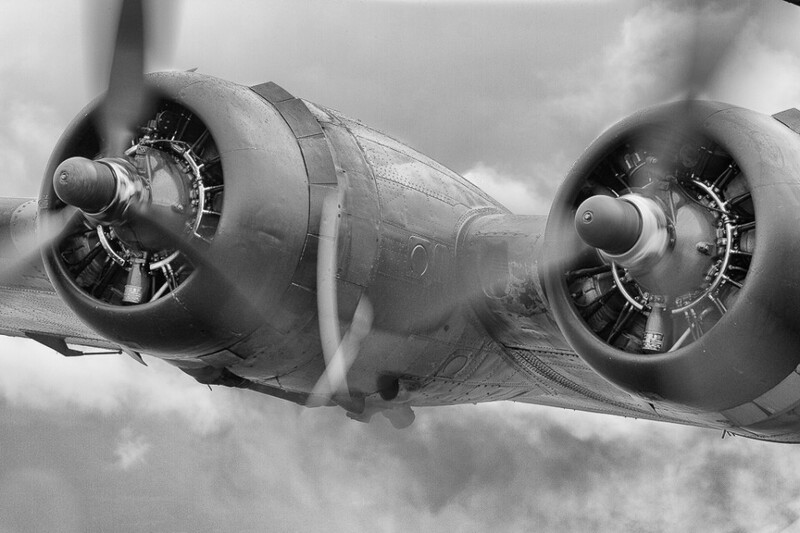 The crew aboard the B-17 Flying Fortress had seconds to respond. The bomber’s nose gun flashed in reply. The gunners of the lead bomber joined the fray, raking the air with bullets.